Opening has happened and I just wanted to say how great all the people in the play are from the tech crew to the actors to the two directors. I always have fun helping in these productions the reward is to see the students so happy after they see all their hard work and they receive the praise of the audience. These photos are from the dress rehearsal as I forgot my camera last night. 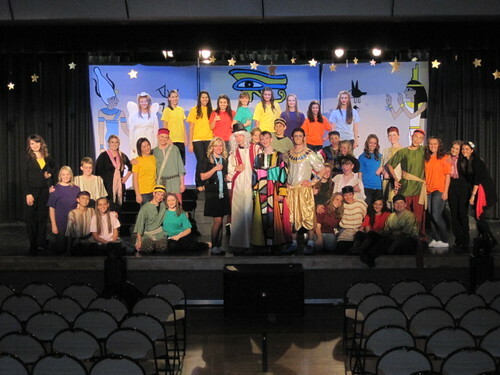 To see more photos from the play go here on Flickr.